Crowns and bridges are fixed prosthetic devices cemented onto existing teeth. Crowns are used to entirely cover a damaged tooth. This can be large filling when there is not enough tooth remaining or fractured tooth discolored or poorly shaped tooth, root canal treated tooth and bridges are used to cover a space of missing one or more teeth. 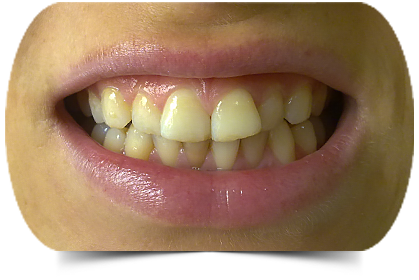 Prosthodontists restore esthetics, function and comfort with artificial substitutes. These artificial materials constitute a wide variety of restorations including fillings, dentures, veneers, crowns, bridges. These restorations are used by the Prosthodontist in his/her everyday practice to restore damaged teeth, replace missing teeth, anchor dentures/crowns/bridges enhance patients’ esthetics (dental and facial) and correct orofacial problems. Damage to the teeth can occur during the development of teeth or caused by caries, failing restorations, trauma, teeth grinding, exposure of teeth to acid (diet or disease) or reduction of salivary flow. Prosthodontists provide services such as fillings, veneers and crowns to address each patient’s concerns. The complexity of every dental condition is variable and could range from minor intervention to comprehensive treatment. 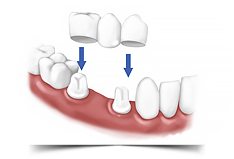 Prosthodontists offer their patients a wide range of options to replace missing teeth depending on each patient's needs. Whether a patient is a candidate for complete dentures, a removable partial denture, dental implants, a fixed bridge or combination of treatment alternatives, Prosthodontists are well-educated to provide high-quality care. These specialists have an excellent understanding of dental laboratory procedures, and they work closely with dental technicians to ensure that each custom-made prosthesis is attractive and comfortable for the patient. A major part of a Prosthodontist’s everyday work is related to cosmetics. Whether it is a single restoration or a more extensive rehabilitation, there is always a common denominator: the artificial component(s) has to blend harmoniously with the surrounding oral environment. In everyday practice, Prosthodontics and cosmetics go hand in hand. Any procedure prescribed to a patient not only has to be functional and comfortable but it also has to faithfully reproduce form and esthetics. Since the population are retaining more of their own teeth as they age and also living longer, Prosthodontists are playing a key role in helping patients maintain a healthy and attractive appearance. 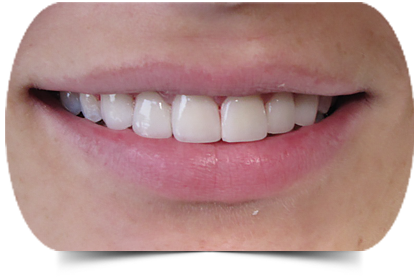 Prosthodontists are experts in whitening and bonding techniques, colour matching, use of veneers to reshape teeth and enhance appearance, and the precise fabrication and placement of fixed prostheses such as crowns and bridges. Prosthodontists combine the mind of a health care professional with the hands and the eyes of an artist to create healthy natural-looking restorations. Complex cases. A Prosthodontist's training includes in-depth study and experience in the relationship of teeth and jaws necessary for a proper bite. Working with other specialists, Prosthodontists provide treatment for patients with birth defects such as cleft palate; conditions such as temporomandibular joint disorders (TMD); traumatic injuries; and complex restorations for patients who have undergone surgical radiation treatment for head and neck cancer.